Brihad Jabala Upanishad belongs to the Atharva Veda. It is a Saiva Upanishad, which deals with the methods of worshipping Shiva, such as wearing Vibhuthi, the holy ash, and Rudrakshas, the holy beads. It is presented in the form of a dialogue between Shiva and Busundi, his devotee. Shiva is represented here as Kalagni Rudra, Rudra endowed with the qualities of Agni, the fire god and Kala, time and death. In the Upanishad, Busundi asks Rudra to explain the significance of Vibhoothi, the holy ash which symbolically stands for his divine powers or Shakti. In the first section, Rudra tells Busundi that the question has already been answered by sage Pippalada and there is nothing more to reveal. Then he asks him to explain the way to salvation. 1 Busunda approached Kalagni Rudra (the fire and death like Rudra) and asked him, “Please tell me about the greatness of Vibhoothi (Sacred ash - Vibhoothi is generally prepared by burning cow dung at auspicious times. The Vibhoothi of Pazhani temple is prepared by burning cactus plants). Kalagni Rudra replied, “What is there to tell?”. Then Busunda asked, “Please tell me the importance of wearing Vibhoothi and Rudraksha’. Kalagni Rudra replied, “This has already been related along with phala sruthi (resultant effect) by sage Paippalada. There is nothing more to be told more than what he has said”. Then Busunda asked, “Tell me about the route to salvation as told in the great Jabala (Brihat Jabala)”. Kalagni Rudra agreed and started teaching. 2 From the Sadhyojatha face of Lord Shiva (he has five faces), the earth was born. From it was born the Nivruthi. From that was born the golden colored celestial cow called Nanda. From the dung of Nanda came Vibhoothi. 3 Water was produced from the face of Vama Deva. From that, the power called Prathishtaa was produced. From that the black cow called Bhadra was produced. From its dung was produced Bhasitha (another name for Vibhoothi). 4 Fire was produced from the face of Aghora. From that was produced the power of knowledge. From that was produced the red cow called Surabhi. From its dung was produced Bhasma (literally ash but another name for Vibhoothi). 5 Wind was produced from the face of Thath Purusha. From it was produced the power of peace. From it was produced the white cow called Susheela. From its dung was produced Kshara (again another name for ash). 6 Ether (sky) was produced from the face of Eeshana. From it was produced the power of Sandhyatheetha (one who is beyond dawn and dusk). From it was produced the multi coloured cow called Sumana. From its dung was produced Raksha (literally meaning shield). 7 Vibhoothi, Bhasitham, Bhasmam, Ksharam and Raksha are five different names of the holy ash. All these are causal names. Vibhoothi - because it gives rise to plenty of wealth, Bhasmam - because it eats away all sins, Bhasitha - because it makes materials glitter (the potash is a cleaning agent of all metals), Kshara - because it protects from dangers and Raksha - because it acts like a shield in case of fears of ghosts, devils, Pisacha, Brahma Rakshas, epilepsy and diseases which are in-born. 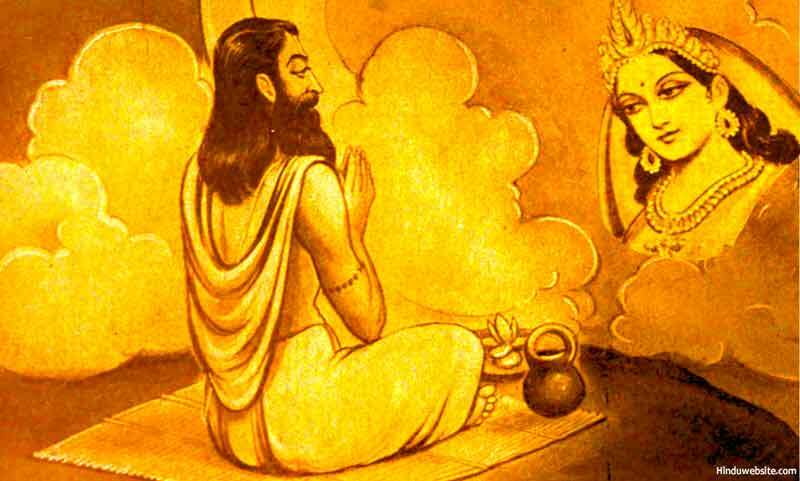 1 Then Busunda approached Kalagni Rudra and asked him about the Bhasmam (ash) snana (bathing) procedure which involves the fire and the moon. ”Similar to the fact that 'fire' takes several forms depending on the form of the object, 'ash' which is like the soul for all objects, assumes the form according to the shape of the being and also beyond it. Fire is told as becoming the world of fire and moon. Fire is very hot and is terrible. It is cruel. The power of moon is nectar like. Even though it has the basis in nectar, it also is the hot aspect of knowledge. Among the big and tiny things, it is the only one which is nectar like in taste and light and also very hot”, he told. 2 “The shining aspect of strength is of two types - the sun aspect and the fire aspect. Similarly the nectar like strength also is full of light and heat”, he told. 3 Light resides in aspects like lightning. Sweetness pervades in tastes of extracts. And the average world works within light and taste. 4 Nectar is a part of fire. Due to nectar, the fire grows. That is why, the world which is of the form of fire and moon, is like the fire made with the fire-offering (havis-offering). 5 The moon power is above .The fire power is down below. It is because that they join together that this world is functioning continuously. 9 That Shakthi (power, strong effect, the female principle) which rises above is Shiva. That Shiva which rises above is Shakthi. There is nothing in this world which is not affected by Shiva and Shakthi. 10 The world which has been burnt several times by fire, becomes pervasive with ash (Bhasma). This is the strength of the fire. In that strength, ash becomes an integral part. 11 Thus he who understands the strength of ash and does the ash bathing ritual using mantras, “agnireethi etc”, burns all his sins and attains salvation. 14 For winning over death , the bath of nectar is recommended. Where is the question of death for one who has been touched by nectar of Shiva and Shakthi? 15 The one who knows this holy secret method, would purify moon and fire and will not take birth again. 16 The one whose body is burnt by the fire of Shiva and made wet by the nectar of moon and entering the path of yoga would become eligible for deathless state.